Weddings are one of the most wonderful memories for many people around the world. Some care only about getting to the main point, while others want their wedding to be decorated as best as possible. There are many decorations to deal with when it comes to weddings – from table centerpieces to altar decor. 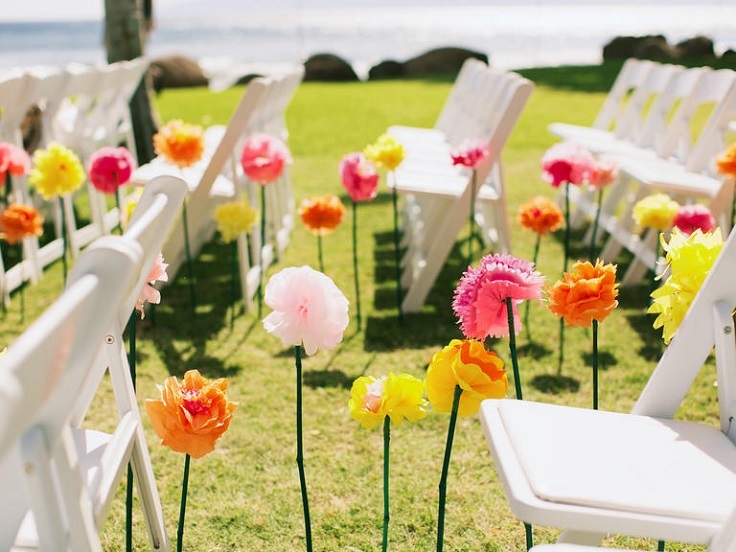 Below we are showing you ten ideas on how you can decorate the aisle. Some are glamorous, some are boho and some are rustic – choose your favorite! 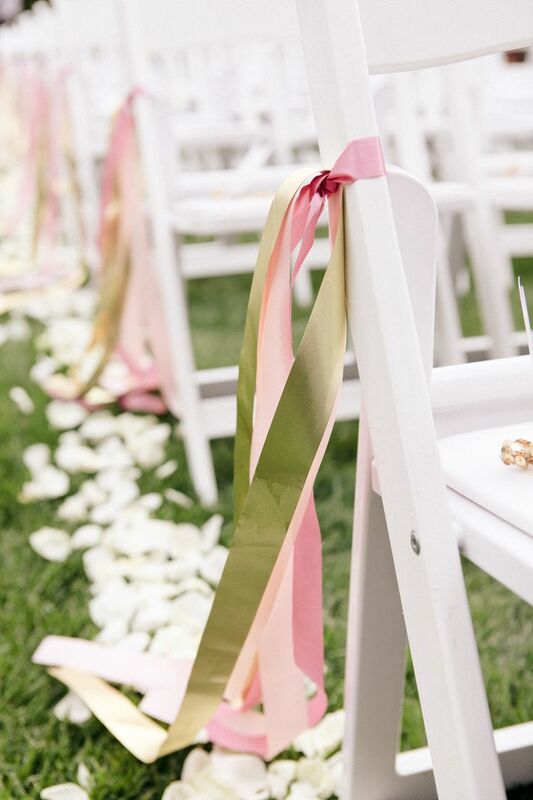 Ribbons are one of the most popular materials used for wedding decorations and there hundreds of ways you can use them. One of them includes flowers as well – you can pick a small bouquet consisting of greenery and few flowers, such as peony or roses (or even both!) and secure them on a chair with a ribbon and let it fall down on the floor. Lace is being widely used and let’s face it – who can say no to such a wonderful, gentle material? 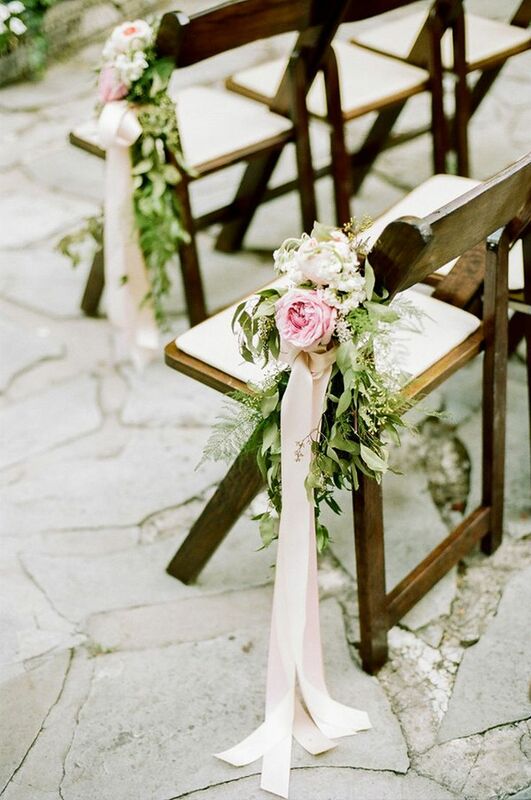 When it comes to aisle decor, you can combine lace with other materials for the chair. 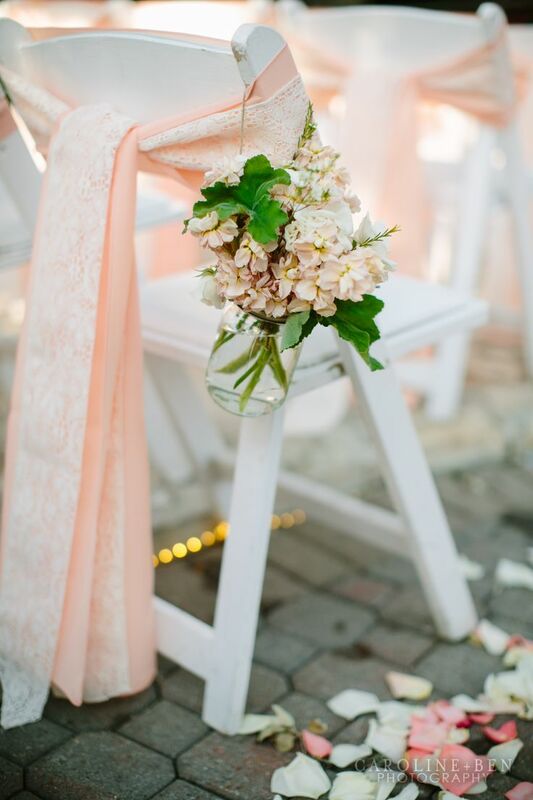 Picking white lace and other pastel – colored material is going to look so nice – take a look at this peach and lace combination! Adding a flower, such as hydrangea is going to contribute to the look as well, considering the beautiful meaning of the flower. 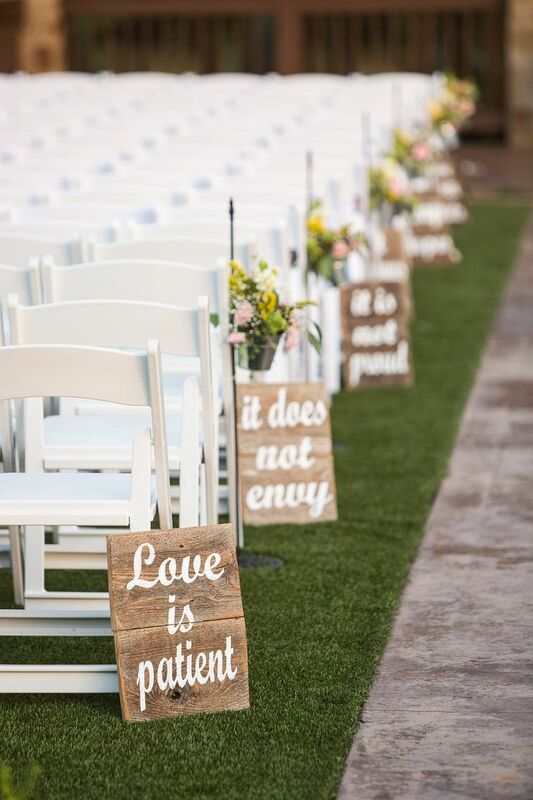 Quote boards are also very popular aisle decoration. They are unique as they don’t need to include lace or other materials, or even flowers, in order to look great (although, they would look amazing if you add flowers as well!). 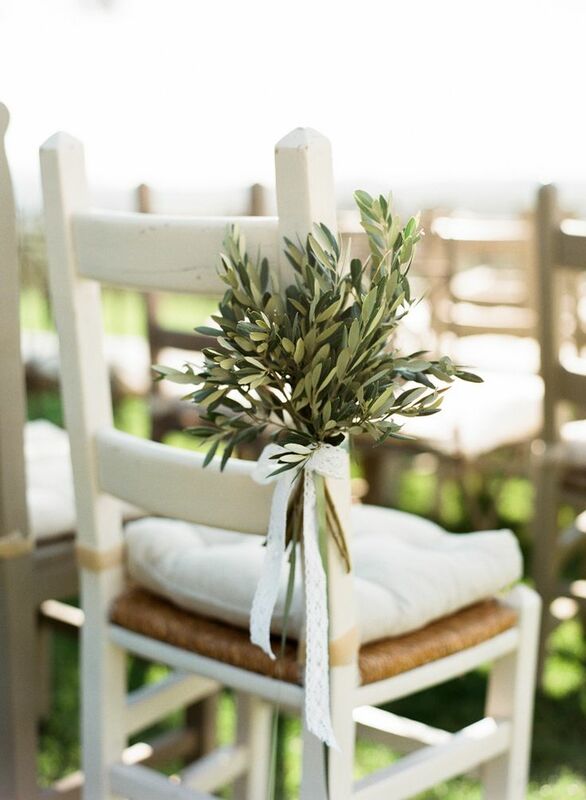 They are a good choice especially if you’re planning on having a rustic, countryside wedding. The quote can be anything that you like – from nice book lines to “feel good” quotes. If you don’t like lace, ribbons, wood or even real flowers, how about decorating your aisle with paper flowers? This is a very unique idea because really, how often do you see paper flowers at a wedding? Most people go for real, but paper flowers can look really nice, if done the right way. Also, instead of going for the usual wedding colors, you can pick bright and they will certain add more happy vibes to the event. This boho, indie decor is something that we definitely like! 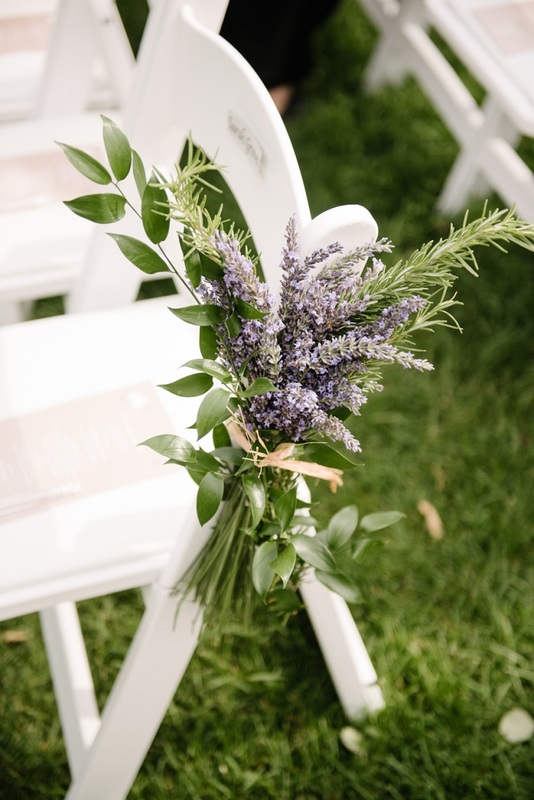 It’s simple, yet so gentle and suitable for such a loving event as a wedding. The greenery is usually used to give texture and shape to flowers, but it looks fantastic even without the flowers. There’s plenty of choice, but if you want something more unique, but still a greenery, you can choose tropical leaves as well! The baby’s breath is a flower the represents an everlasting love, innocence and purity. It has small, white flowers that together with the meaning, totally contribute to the spirit of the event – and that’s the reason why so many people choose them for their wedding decor. 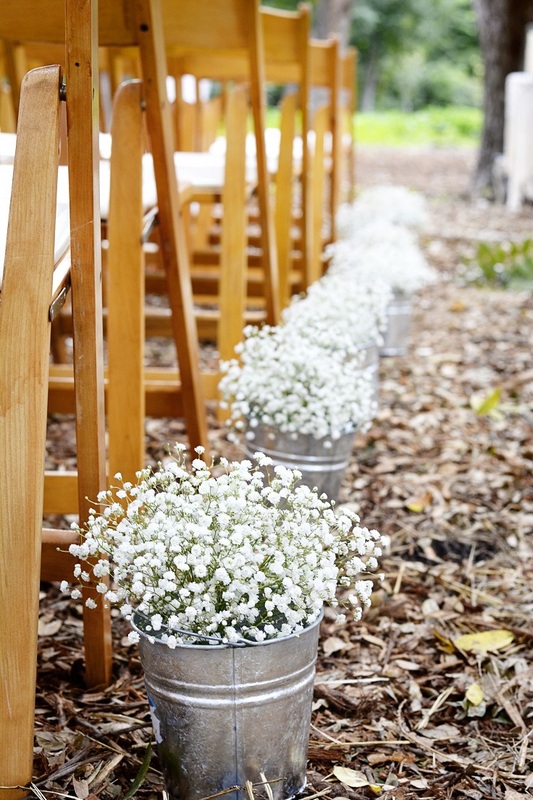 You can place the flowers in buckets and create a rustic, countryside – like feeling. The sunflowers might not have the glamorous look of the roses or the peonies, but this orange – colored flowers certainly have their own charm. They have their own meaning as well – they represent adoration and loyalty. 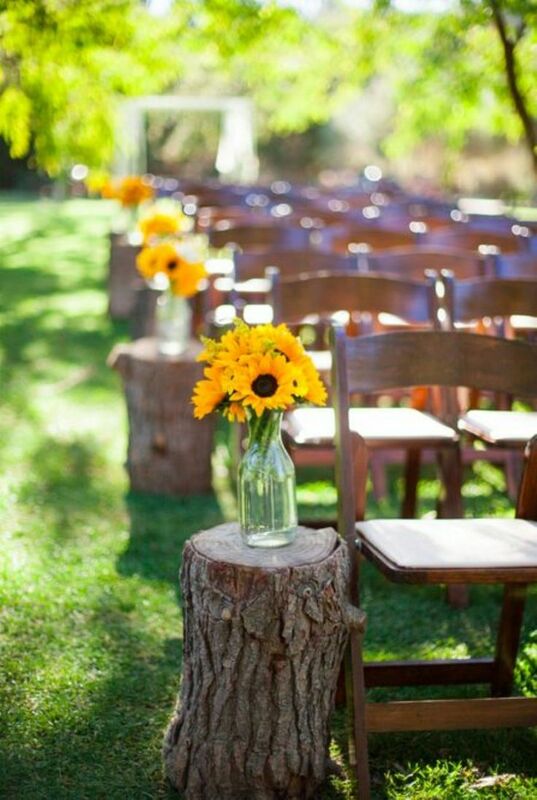 They bring such happy vibes, so if you want to make them your aisle decor, you can put sunflowers in vases and place them on top of a wood piece. There isn’t a flower that screams “love and passion” more than a red rose. This beautiful flower was given as a token of love for centuries and is popular among wedding flowers, although in most cases white roses are used. 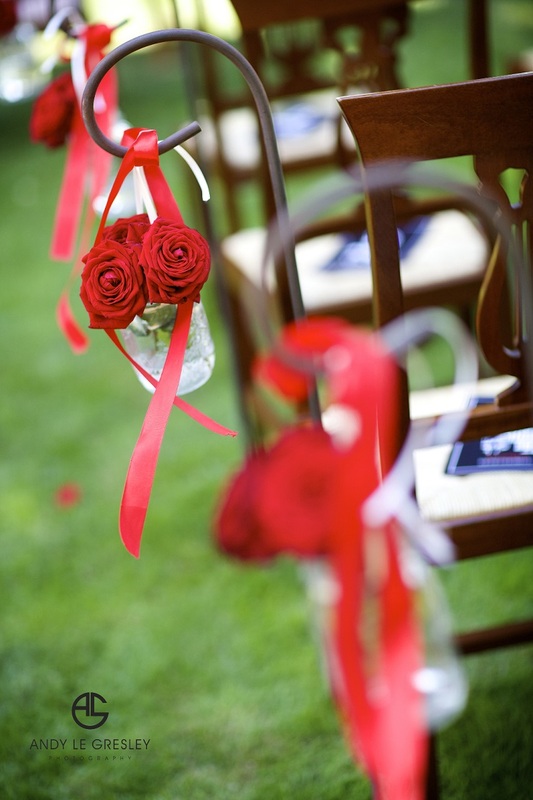 However, as red is a color that brings attention, if you want to put the focus on your aisle decor, then this is the perfect way to do it – place red roses. Or, if you don’t want actual roses, you can just use them petals and throw them all to the ground. It would create a messy look, but in a very elegant way. If this is too simple looking for your taste, you can always add something more, like adding a ribbon in one or two colors, just like on this picture. Lavender and greenery? Yes, please! these two are such a wonderful combinations that will bring warm Mediterranean vibes with their look – you will feel as if you’re getting married in the south of France! Not only it will look so good, but let’s not forget the fact that lavender has such a wonderful scent – it will make the whole place like a fairytale!